This isn’t a chimney belonging to a very small house but an ornamental one. 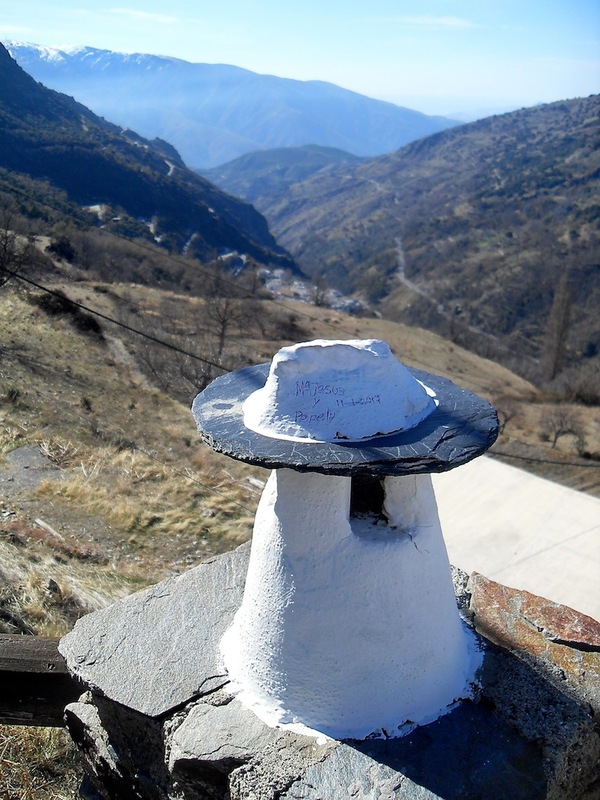 It’s at the viewing point as you enter Bubión – the deathly-quiet village sandwiched between Pampaneira and Capileira. The view from any of these white villages at the moment is breathtaking as the snow has come. They always stand out against the rock but now, higher up, the snow – a patchwork of trees, bare rock and white – makes it look like a vast building development has been created overnight. This photograph is looking south down the Poqueira gorge, though. Two names have been recently scratched into the paint. A post-Christmas romance with the fire still burning…maybe.